In Turkey, there is no Turkey citizenship by investment official website to take citizenship applications. The Turkish Citizenship application processes are provided by authorized consultancy firms. The concepts like ” Turkish citizenship lawyer” or similar things are not used in Turkey. deposit 500,000 $ in State investment instruments or state banks operating in Turkey provided that they do not withdraw such amount for three years. Also, employing 50 personnel is determined as a criteria for applying for Turkish citizenship with the new regulation. Several regulations published in the Official Gazette No. 106 decision of foreign nationality were changed with the concept of Turkish citizenship. Turkey intended to qualify for citizenship fixed capital amount was reduced to 500.000 $ from 2 million $. The minimum amount required for applying to citizenship by immovable property in Turkey have also determined as 250.000 $. The most common type of investment for Turkish Citizenship is the purchase of an immovable property of 250,000 $. When the real estate is purchased, the annotation of the real estate must not be sold for three years. When the regulation was first implemented, the Ministry of Environment and Urbanization wanted the annotation to be sold for three years at the time of the purchase of the real estate. This situation has caused great difficulties for foreigners who are not aware of the legislation. Fortunately, the Ministry of Environment and Urbanization went to a new arrangement on this issue and eliminated this requirement. After the purchase of an immovable property of 250,000$, an expiration date of three years cannot be placed on the land registry records. As informed in (b) Regulation (a) Article 20 of the Regulation with the amendment of the Article 2 «b» which regulates the condition for the exceptional acquisiton of Turkish citizenship and referred as « it is possible to obtain Turkish citizenship on exceptional basis for foreign nationality who purchased the immovable property with a minimum amount of 250,000 $ having land registry record which are determined by the Ministry of Environment and Urbanism on the condition that it is not going to be sold for three years». In order to benefit from this arrangement and determine the amount which is indicated in the application for the slae of the immovable property, there should be prepared an immovable valuation report which should be accepted by the Capital Market Board in accordance with valuation standards by valuation expert who has a valid license . Based on the value in the immovable valuation report that shows the market value, the value of immovable/immovables in US dollars is calculated on the effective selling rate of the Central Bank of Turkey at the date of transcation. The amendments of the Regulation dated 12.01.2017 and the effective date of this instruciton, in case if more than one immovable is acquired by the same person, the sum of which corresponds to a price stated in the relevant article or above, the value calculated in accordance with the effective sales price of each immovable on the sale date shall be taken as basis. Within the scope of Article 20 of the Regulation on Implementation of the Turkish Citizenship Law states that this immovable / immovables property will not be sold for a period of 3 years for purpose of acquisiton of Turkish citizenship; Within the scope of the 20th Article of the Regulation on the Implementation of the Turkish Citizenship Law” is stated that within 3 years is declared that it will not be sold for 3 years from the date of acquisition”. “Within the 20th Article of the Regulation on the Implementation of the Turkish Citizenship Law, there is a commitment not to be sold within three years from the date of acquisition”. From now on, the immovable property which will be purchase for purpose of obtaining Turkish citizenship should commit that tyhe property will not be sold for 3 years. However, the immovable property which was purchased between the Regulation on implementation dated 12.01.2017 and the date of entry into force of this directive without declaration of not selling the property should declare and undertake that in accordance with article 20 of the regulation on the implementation of the Turkish Citizenship Law there is a declaration that the immovable property will not be sold within three years from the date of acquisition. With the condition to have the same date and the same journal number, If more than one immovable is requested for the same person with a value equal or exceeding stated in the related article, the statement of each immovable shall be made within the scope of “Article 20 of the Regulation on the Implementation of the Turkish Citizenship Law There is a commitment not to be sold within three years from the date of acquisition”. Point (b) The condition that the amendment of the regulation taken on the date of 12.01.2017 and for the immovable/immovables acquired in the date interval in which this directive entered into force shall not be required to be purchased with the same journal number. In case of not being registered, the question of whether to abandon the commentary from the General Directorate of Population and Citizenship Affairs should be questioned and directed to the procedures to be taken. Foreclosure, measure etc. on immovables acquired in this way is possible by establishing annals with the same limited rights and in case that the property’s owner change within the three year period without the agreement of the owner the General Directorate of Population and Citizenship shall be informed urgently. The evaluation reports which will be submitted within the scope of this instruction shall belong to the same year and the application and operation made at the end of the year or the applications which have not been finished in the same year the reports submitted will be reevaluated according to the reevaluation ratio determined by the Ministry of Finances. If the amount of the immovable valuation report based on the sales transactions under this instruction is lower than the value of the real estate tax determined for the municipal acquisition year according to the provisions of the Real Estate Tax Law No. 1319, the title fee shall be collected on this value. The title deed registration is given to the applicant following the completion of the procedure. The contribution to Turkish economy is one of the most important criteria for gaining Turkish citizenship for foreigners. With the new regulation, it’s possible to become Turkish citizen by employing 50 personnel in your company. With the new regulation, it’s possible to become Turkish citizen by purchasing public debt instruments with the condition of not selling for three years. The minimum amount is determined as 500.000 USD for the public debt instruments concept. You can also make your investment to the state banks in order to benefit from the citizenship concept in Turkey. The Foreigners Who Purchase House Can Be Turkish Citizens! Many developments have been recorded since January 2017 regarding the acquiring of foreigners to Turkish citizenship. The works have completed for foreigners who purchase houses, have an account in a bank and establish a business in Turkey about being a “Turkish citizen” if they demand. The government is working on expanding the application of citizenship in order to led up for foreigners to bring foreign currency investments to the country. The giant companies of real estate sector gave explanations about this subject. With the law published in the Official Gazette on 12 January, the scope of exceptional cases in the acquisition of Turkish citizenship in Article 12 of the Turkish Citizenship Law was expanded. With the regulation on the implementation of the Turkish Citizenship Law published on 25 May, some changes were made in practice. It was known that the immovable property with a minimum of 1 million US Dollars could not be sold for three years in the title deed restriction, provided that the Ministry of Environment and Urbanism who determines purchasing, they can acquire Turkish citizenship with the proposal of the Ministry and the decision of the Council of Ministers. Within the scope of the Regulation, how were the boundaries of being a Turkish citizen for foreigner who purchase houses? The application for the acquisition of the real estate by sale will not be sufficient to determine the amount stated in the article, a valuation report will be demanded which accepted by SPK and prepared by an evaluation expert who have a valid licence and prepared properly for the evaluation standards. It will be observed that the valuation report refers to the year of transaction made. The value in US dollars will be calculated on the effective selling rate of the Central Bank of the Republic of Turkey on the date of the transaction, and for each foreigner acquiring more than one house, each house will be evaluated separately. The most important subject of regulation will be the scope of time. The foreigners will make a commitment about not selling this immovable or immovables for three years and registration request document for foreigners who request for citizenship and declaration of immovables by taking a commitment “within the scope of the 20th Article of the Regulation on the Implementation of the Turkish Citizenship Law, there is a commitment not to be sold within three years from the date of acquisition.” condition will be stipulated. Within 2 years from the date of indication, in case of cancelling by tenant, if the person acquires Turkish citizenship or not, can be controlled by MERNİS records. In case of immovable’s handover without tenant’s consent for various reasons, this issue should be reported to General Directorate of Civil Registration and Nationality urgently. For almost nine years, we have been first choice on arrival to Turkey for thousands of customers. Our team consists of 38 experienced personnel including lawyers and experts providing 7/24 assistance. All of the services provided by us is adressed for foreigners in Turkey and was developed by years of experience. Currently we are located in Istanbul and Ankara but we are also opening our branches in Izmir and Antalya soon. Many of our suggestions for facilitating the citizenship process have been admitted by the government. We know the problems of foreigners living in Turkey and we are the first to help you to avoid those concerns. Over the years many foreign companies doing business in Turkey and thousands of foreign employees working for them are benefiting from our services. So far we provided services for almost half of all foreigners who came to Turkey for education, work, treatment, trade and establishment of their own businness. 75% of our customers continue to use our other services. As you are in a foreign country, you will have different needs. Besides the real estate consultancy included in our service costs, we will also provide services regarding setting up electricity, water, telephone and cable TV in a property that you are going to purchase, assist you through enrollment of your children into schools in Turkey, registering your company in Turkey and opening bank account. 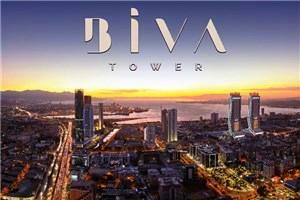 We will also provide services to rent your property in Turkey. You can reach your customer representative 7/24 in case of emergency. Meet with our professional consultancy services. Our company provides professional consultancy services with experienced consultants. We offer services in English,Turkish,Arabic,Russian and Persian. Give procedures to us, focus on your work. Our company provides the Turkish Citizenship process for you from purchasing stage of house to applying stage for citizenship legally. Time condition for all investments is 3 years. 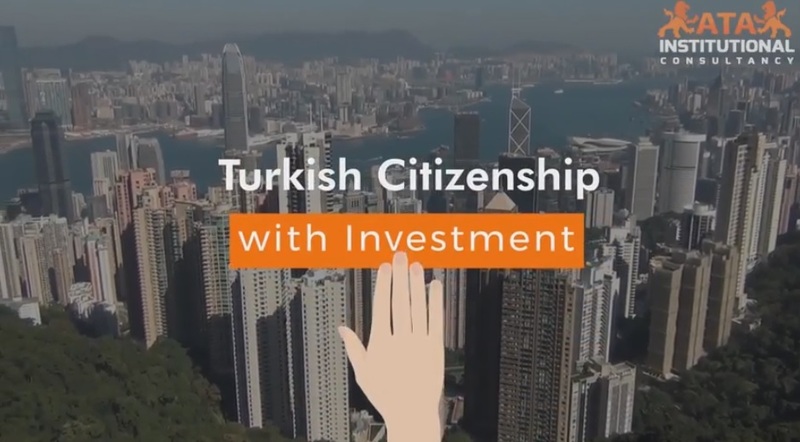 You can be a Turkish Citizen with the condition that you can take back all investments along with legal revenues three years later, applicant’s spouse and children who are less than 18 years old will also be granted with Turkish citizenship. You don’t have to live in Turkey to participate in the programme, you can take back your money along with legal interest or you can sell your property three years later. Your Turkish Citizenship will remain throughout your life and your children will be born as Turkish Citizens. In addition, you don’t have to have to declare alienage from the country you currently have the citizenship. Either choose the property you will invest in or invest in the residential and commercial property that we will recommend; if you get consultancy services from us, we will carry out all the legal procedure in Turkey under government guarantee. Property Search service for finding the ideal property. We have experts who will help you throughout the process for completing all the legal procedure from property search to purchasing the property. First, tell us what kind of property you are seeking and we will make a comprehensive search to determine the best investment opportunities that match your criteria. We will offer you various property options: we will report physical features, legal status, price and profitability ratio. For the property you like, we will contact the sellers, arrange a showing time appropriate for you and accompany you on those visits. ATA Institutional Consultancy will carry out all the legal procedure (transfer procedure) to ensure that purchase is completed flawlessly. After the seller accepts your offer, we confirm that the property is free of any debts, taxes and environmental charges are paid and real dimensions of the property match the title deed. We will draw up preliminary sales contract to be signed before the Notary Public and ensure that property purchase is registered properly. 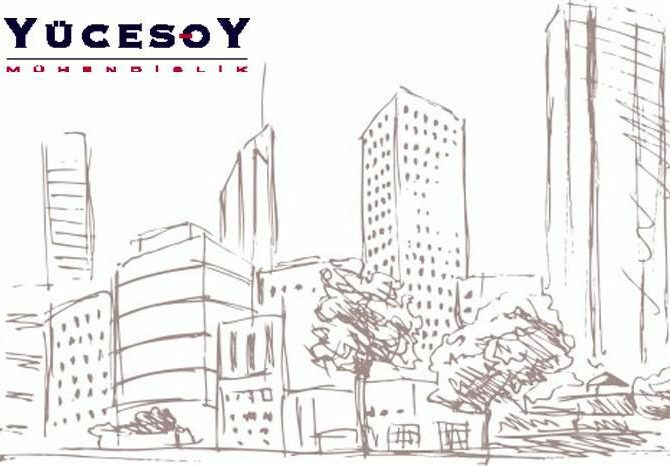 You can learn your convenience status for being a Turkish citizen with the condition of property investment or other investment types. 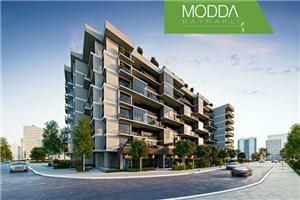 You can contact us via +90 (312) 424 15 75. Also, you can fill the contact form, our customer representatives will call you in a short time.